MP Matt Warman was speaking during a debate yesterday (Wednesday) on EU Nationals in which the SNP called for the introduction of legislative proposals to safeguard the rights of EU nationals living in the UK. He attacked several previous speakers who claimed their surgeries were ‘flooded’ by migrant members worried about their future, and had said migrants were still uncertain. He told the chamber: “It is with some sadness that I rise to speak in this debate, because my constituency has received proportionally more migrants from eastern Europe than anywhere else in the country. Of all places, Boston and Skegness knows the value that people from Poland, Latvia, Lithuania and elsewhere bring to our local economy. “Today we have heard a great deal about surgeries being flooded with people worried about their livelihoods. If I may be blunt, surgeries may be flooded if Members scaremonger and tell people that they might not be welcome here. He told members they had a ‘responsibility’ to reassure people and reiterated comments from the Front Bench that the Government ‘want people to stay’. He added that people who asked EU nationals to leave did not represent the mainstream of Brexit voters, or a large number of people. “They have gone away knowing that this Government seek to provide them with what they need,” he said. Drew Hendry, the shadow SNP spokesman later accused Mr Warman of a ‘stunning lack of empathy’, saying that living with the uncertainty brought a lot of stress. However, he was supported by Conservative MPs Colin Clark and Victoria Atkins. 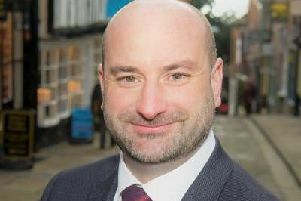 Mrs Atkins, who oversees the Louth Horncastle constituency said Mr Warman had ‘the honour of representing a constituency with one of the largest eastern European populations in the country’. She said: “He set out very robustly the views of his constituents, not only those who are ‘yellowbellies’ born and bred, but those who have had the good sense to move to his constituency from the European Union.